This powder room was updated with all new fixtures and tile floor to give it a more traditional and clean look. The pattern tiled floor adds a nice feature as well as a soft blue color that compliements the wall color. 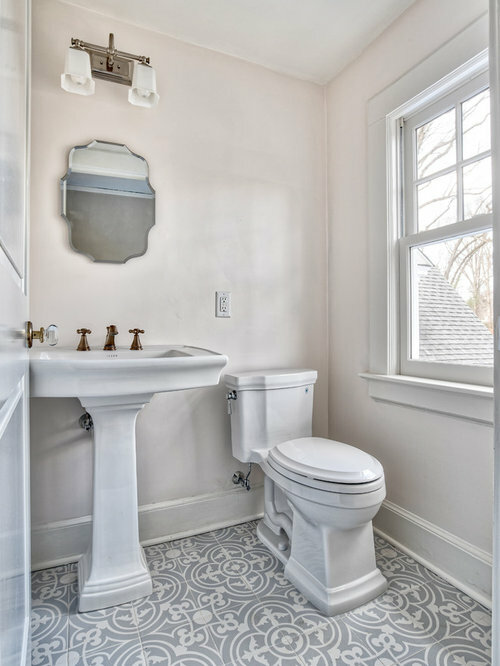 This powder room was updated with all new fixtures and tile floor to give it a more traditional and clean look.